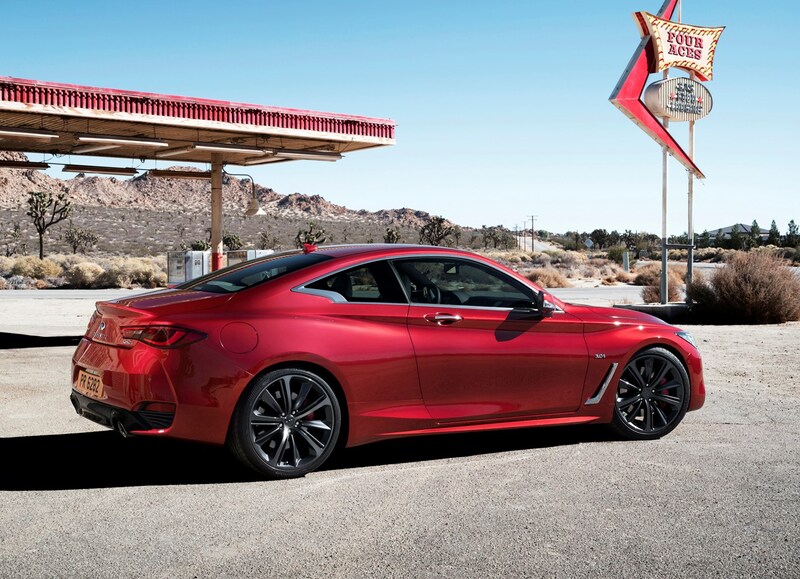 Insurance group: 31 - 39 How much is it to insure? 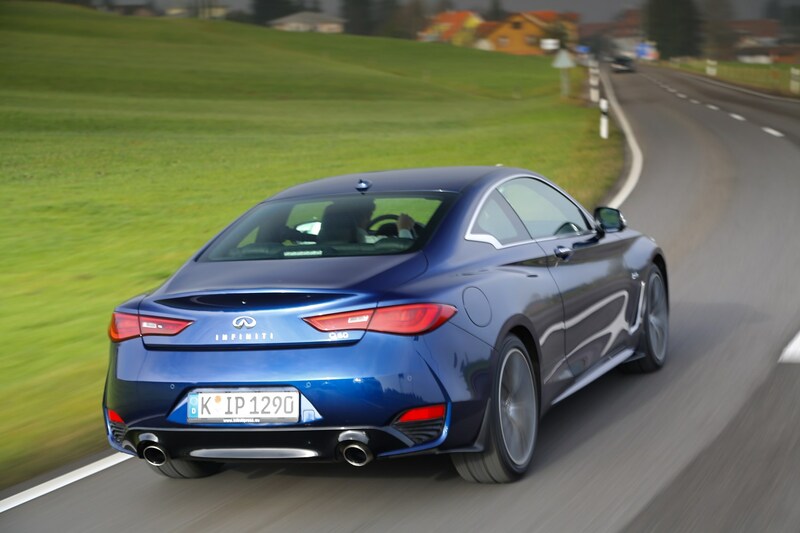 The Infiniti Q60 coupe is set to be a very rare car here in the UK. 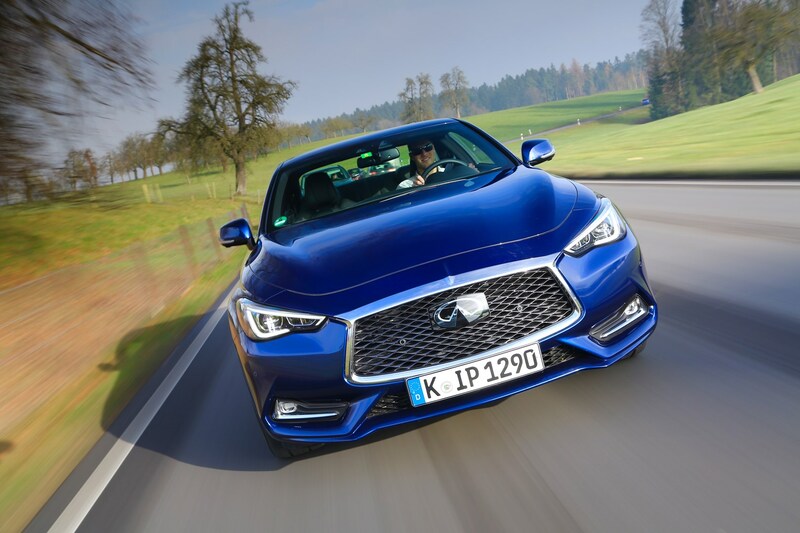 The firm predicts sales in the hundreds rather than thousands, and a primary reason for this is that while it’s meant to take on the Lexus RC, BMW 4 Series, Audi A5 Coupe and Mercedes-Benz C-Class Coupe, it does so without a version for company car drivers or an extensive dealer network. 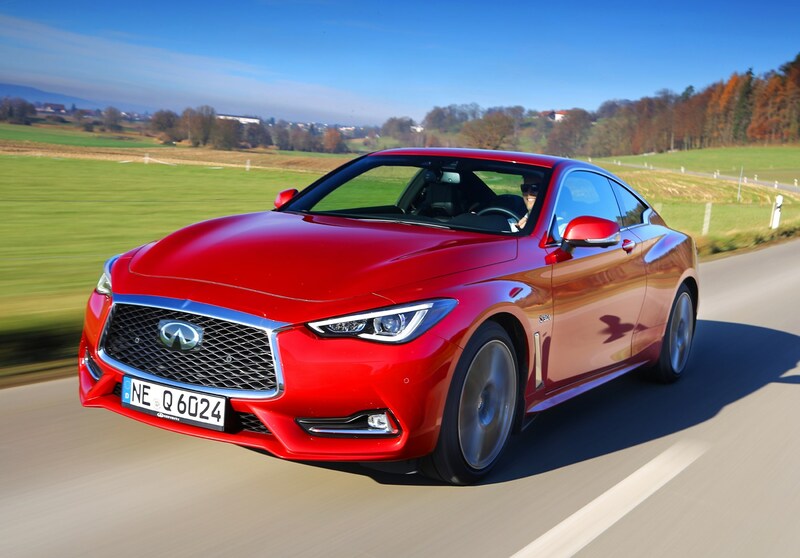 This means its appeal is extremely niche, offering a relatively powerful set of petrol engines that are good in isolation, but when compared to performance versions of the above cars – the M4, S5 Coupe and Mercedes-AMG C 63 Coupe – it’s nowhere near as good to drive. 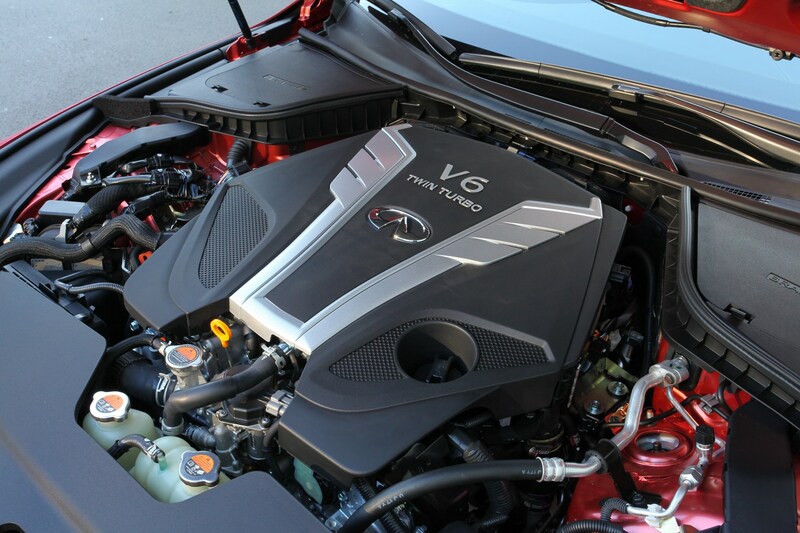 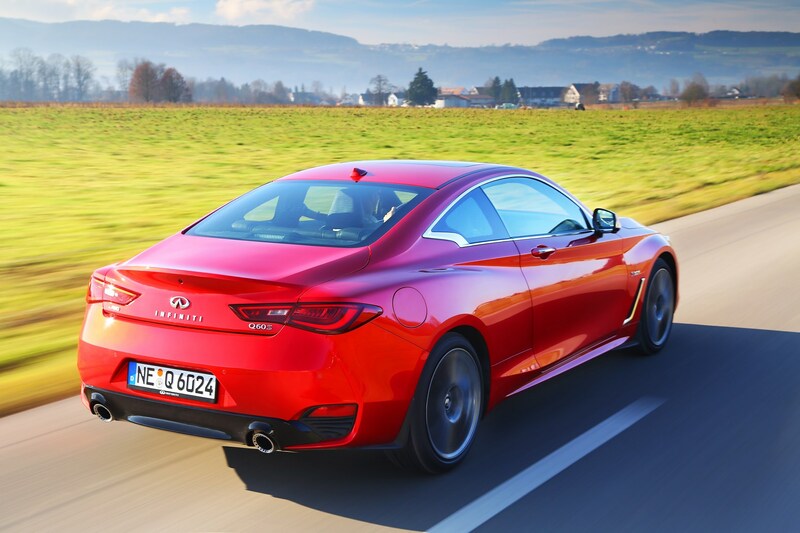 The engine line-up is split down the middle: the 2.0-litre is the one that’s expected to sell best, but the 3.0-litre V6 – badged Infiniti Q60S – is the one that’s great to drive. 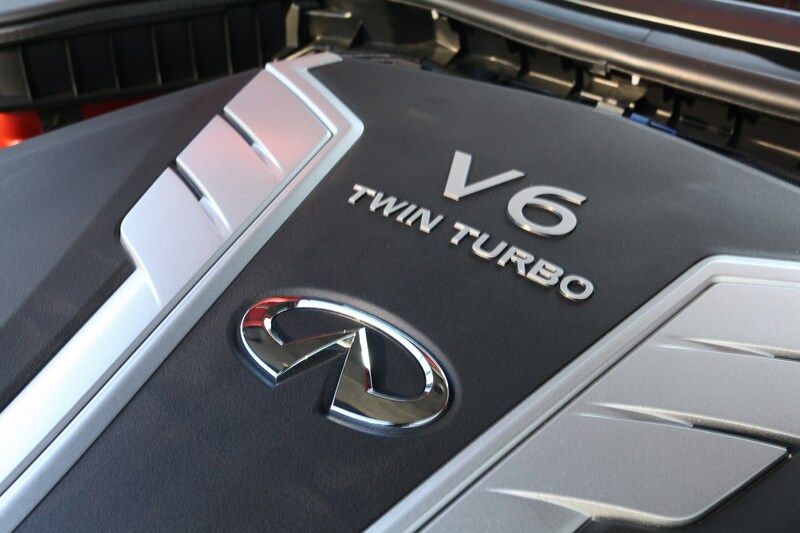 They both get the same seven-speed automatic gearbox, while the smaller engine is rear-wheel drive only and the larger sends power to all four wheels. 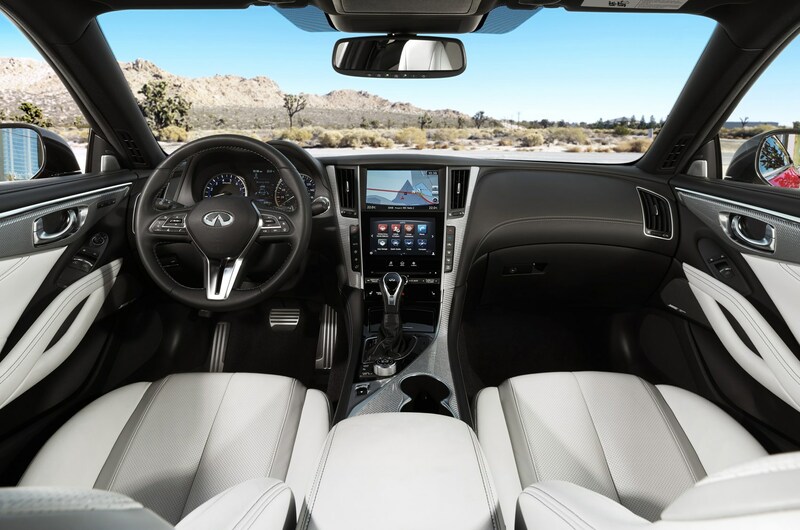 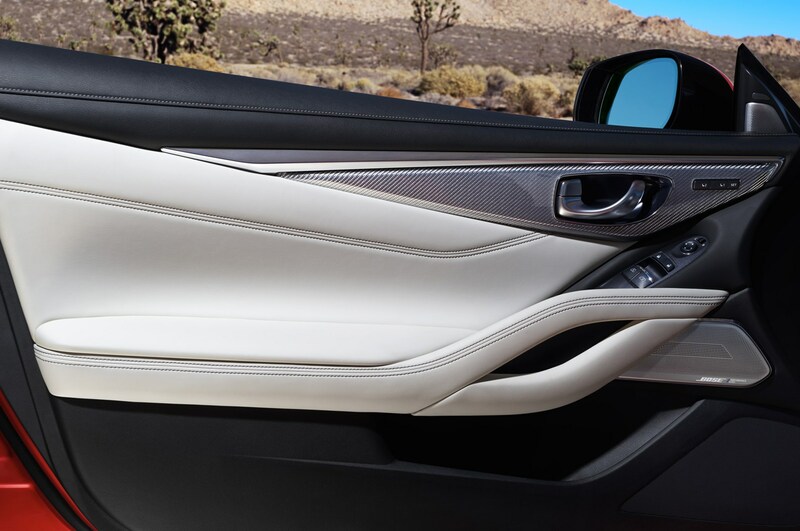 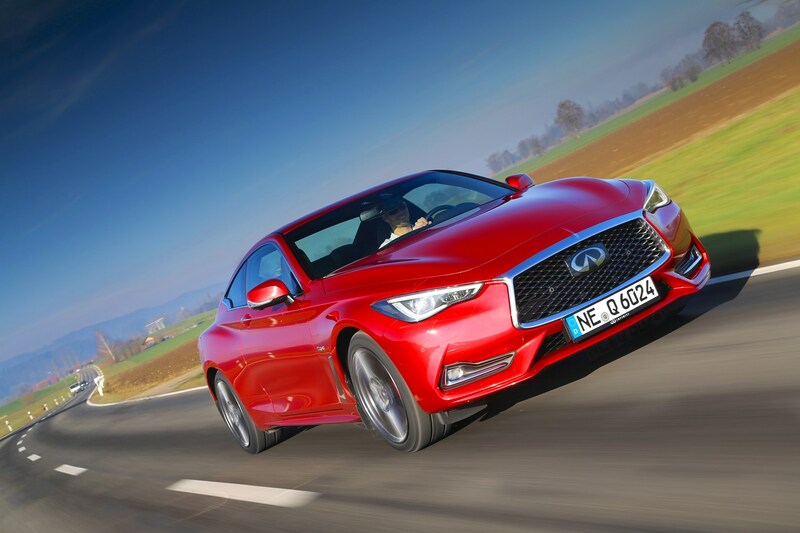 As has become the norm for Infiniti, the Q60 is rammed to the gunwales with modern tech. 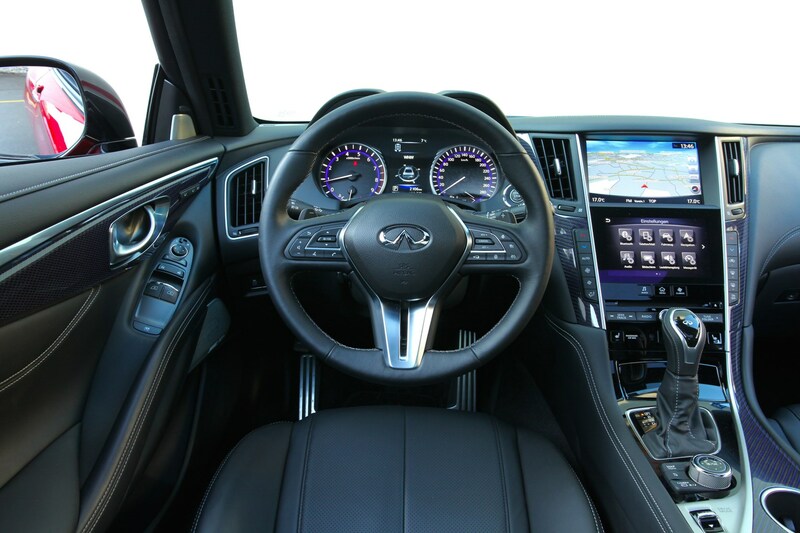 Most notable of these features is the latest version of the Direct Adaptive Steering (DAS) system, which is – at time of publication – the only steer-by-wire system offered on any car. 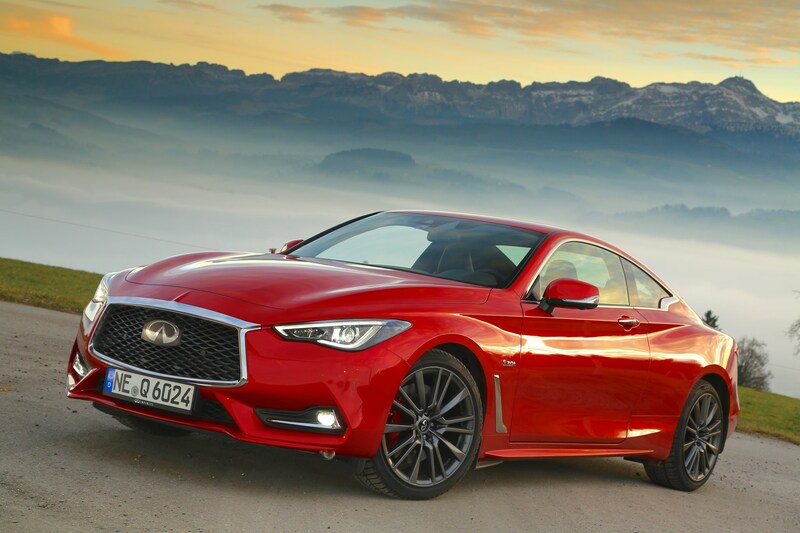 An earlier iteration can be found on some Q50 saloons, but the second attempt is far better-suited to real-world driving. 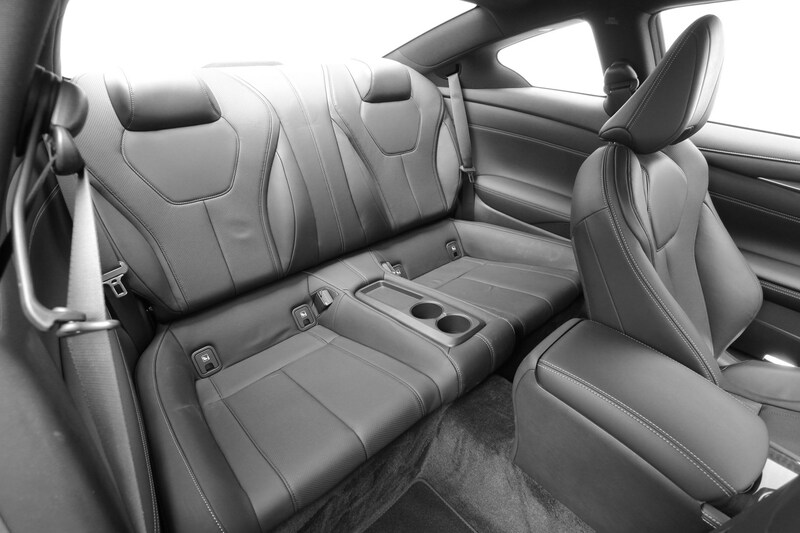 The aim is to cut fatigue by eradicating the steering wheel movements required to keep a car tracking straight and true on the motorway. 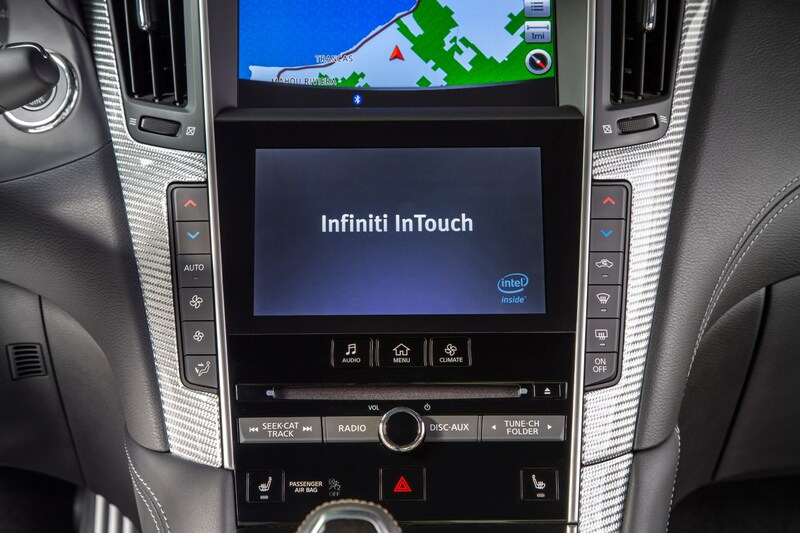 It does this by tracing the lane you’re in and automatically steering the wheels for you, which to start with takes a bit of getting used to. 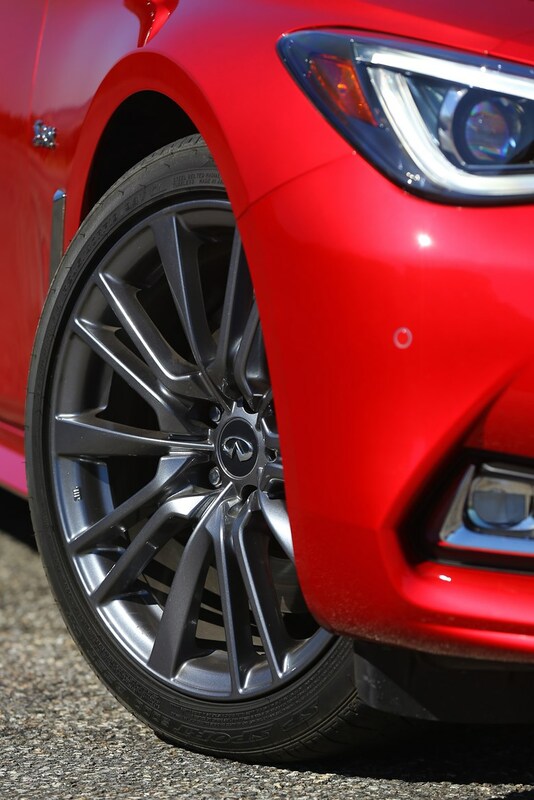 Another first for Infiniti on this car is adaptive suspension. 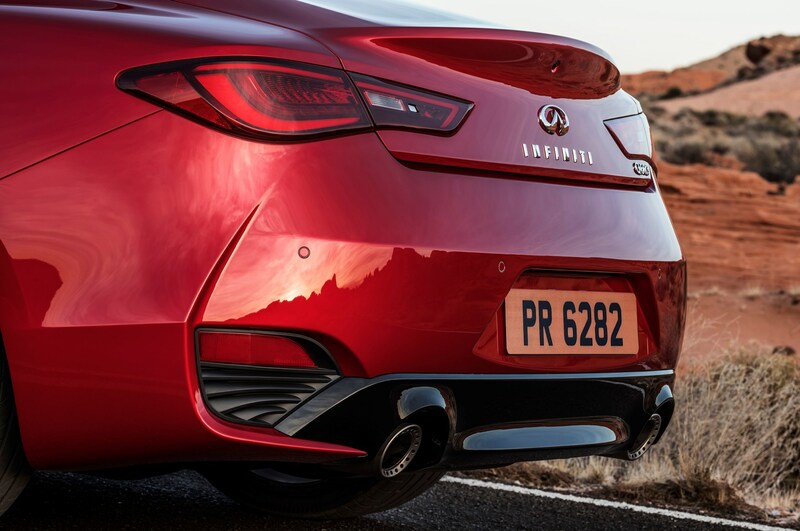 To find out what we made of this, please visit the Driving section of the review. 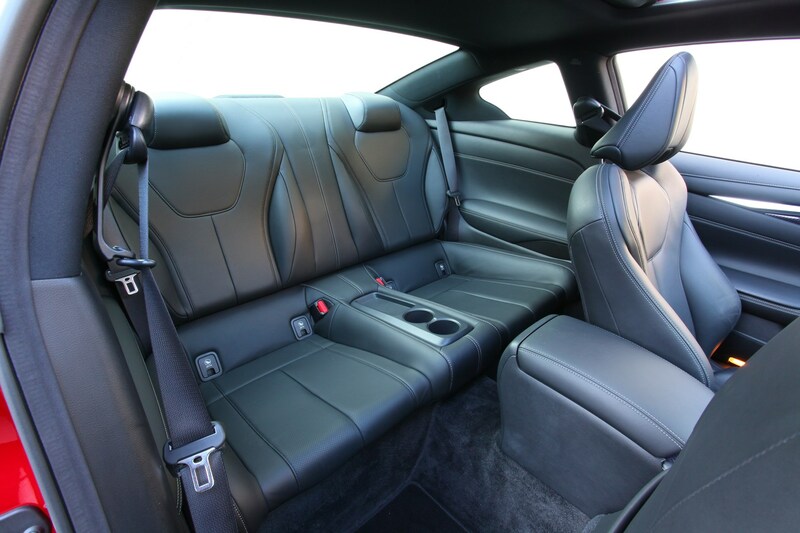 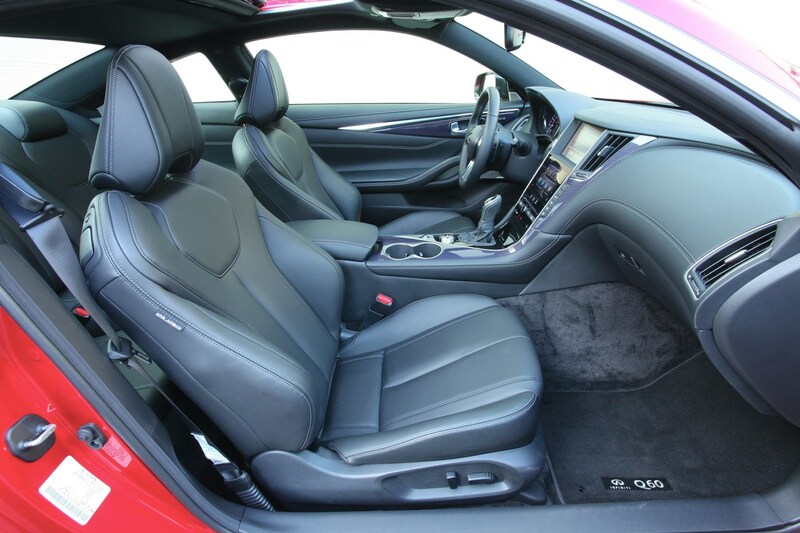 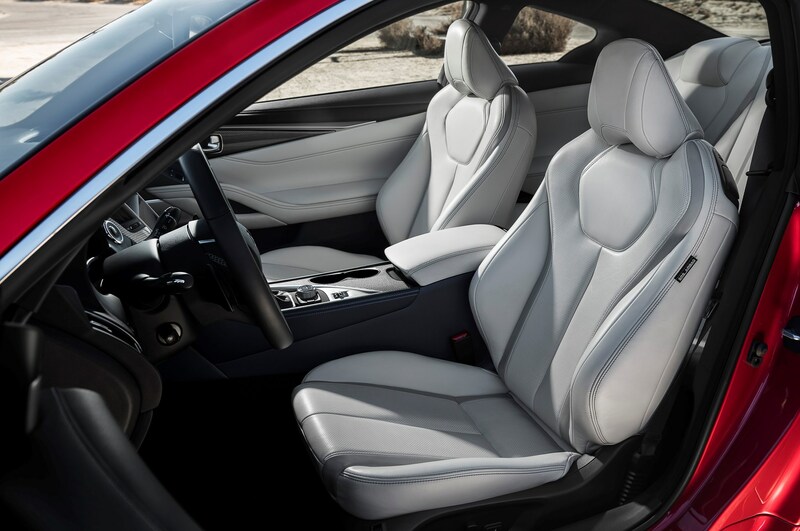 Even base-spec Q60s come with leather upholstery and electrical adjustment of the comfortable and supportive front seats. 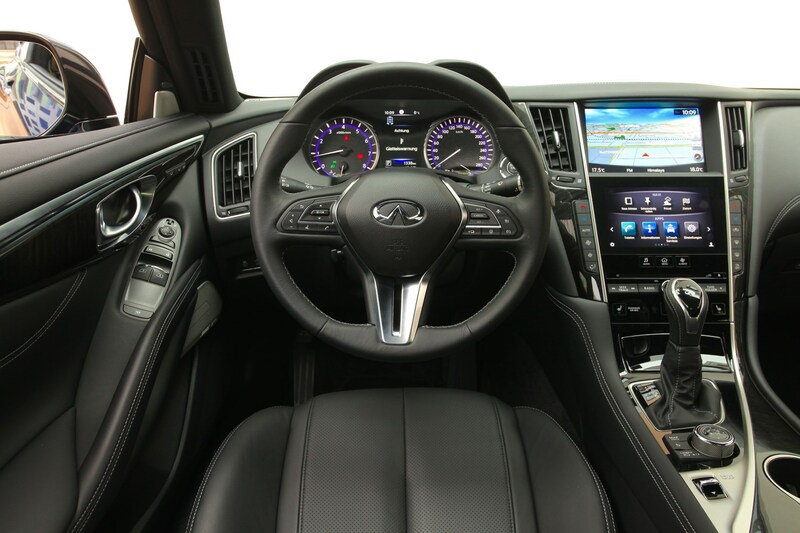 The cabin’s ambience is further improved by noise-cancellation technology and an advanced infotainment system featuring two touchscreens. 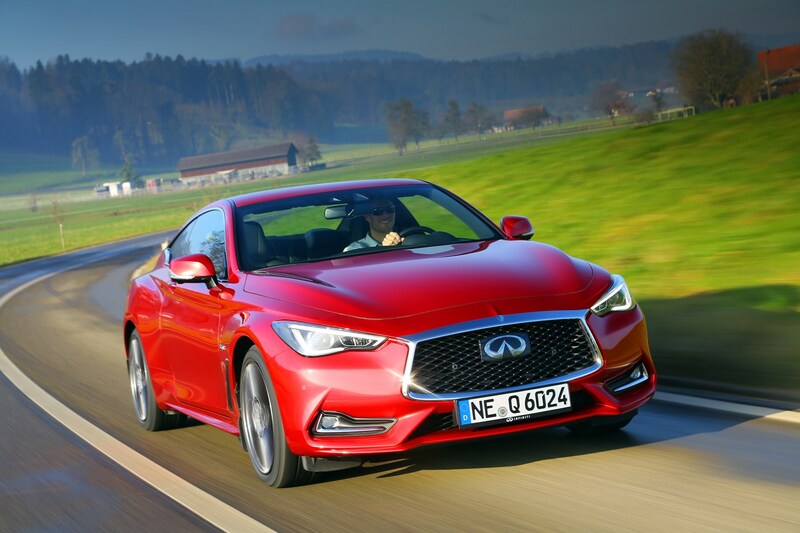 Safety and driver-assistance features are obviously high on the agenda too, with the Q60 capable of semi-autonomous driving thanks to adaptive cruise control and the advanced lane-keeping DAS makes possible. 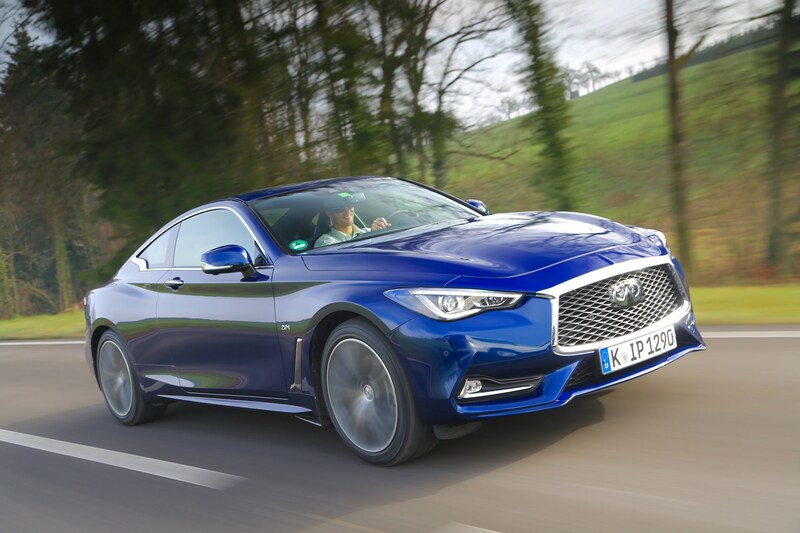 As with every other Infiniti model, however, it falls down as a realistic ownership proposition for many because of the paltry number of dealerships – just 12 for the whole of the UK at time of publication. 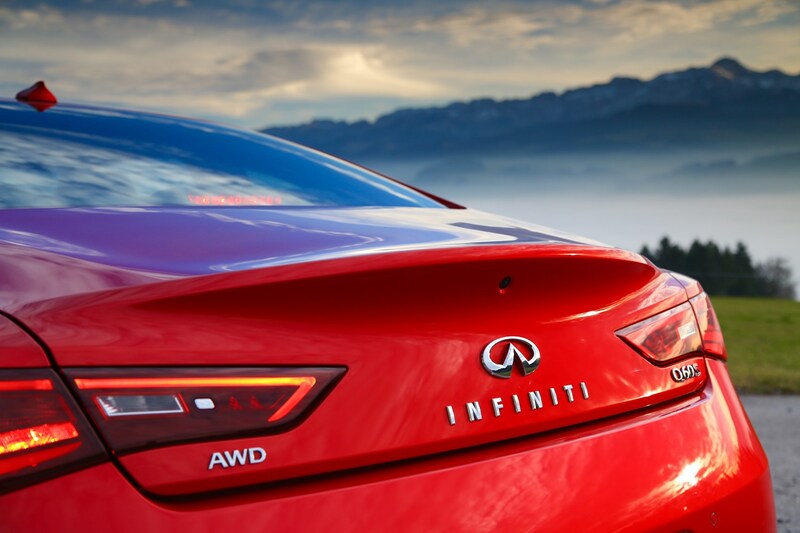 This is set to rise but only to a maximum of 25, which will ensure the company remains a niche proposition. 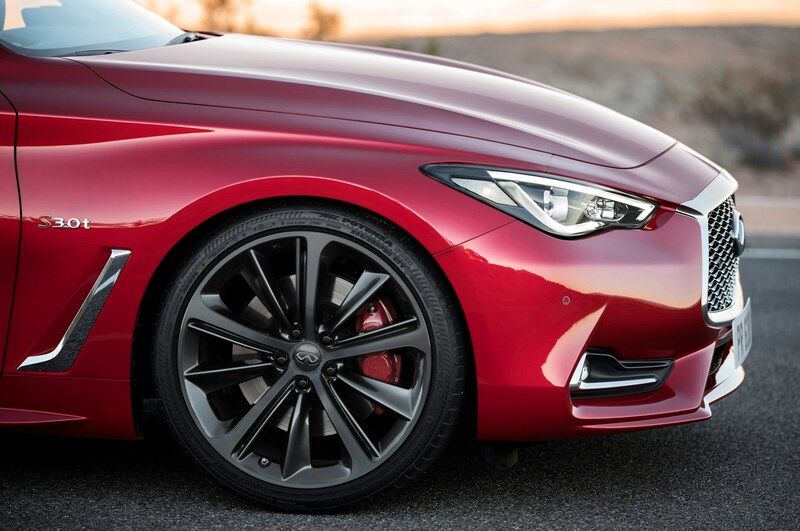 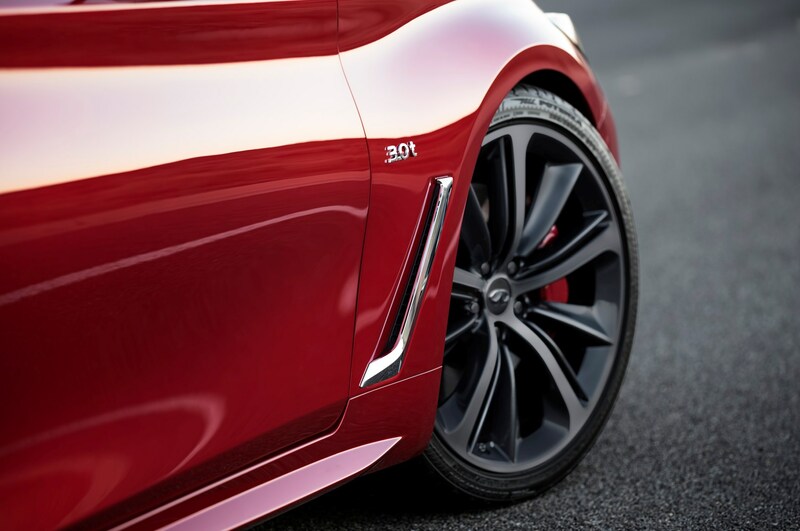 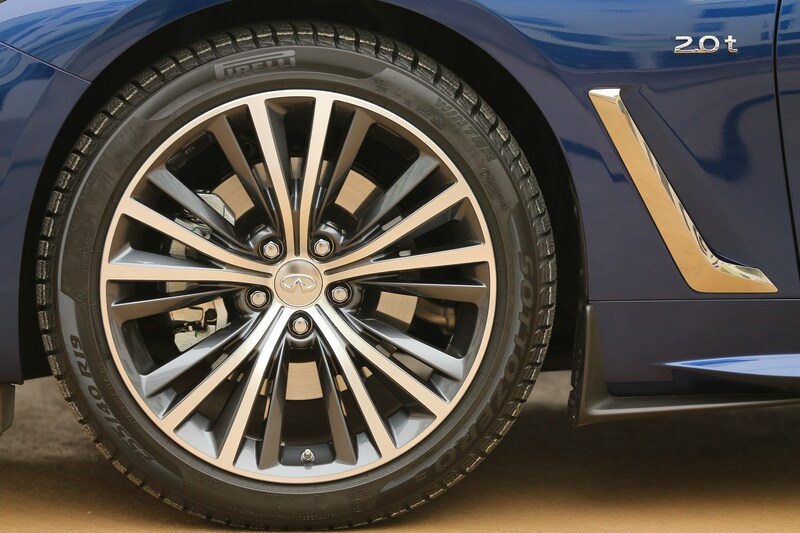 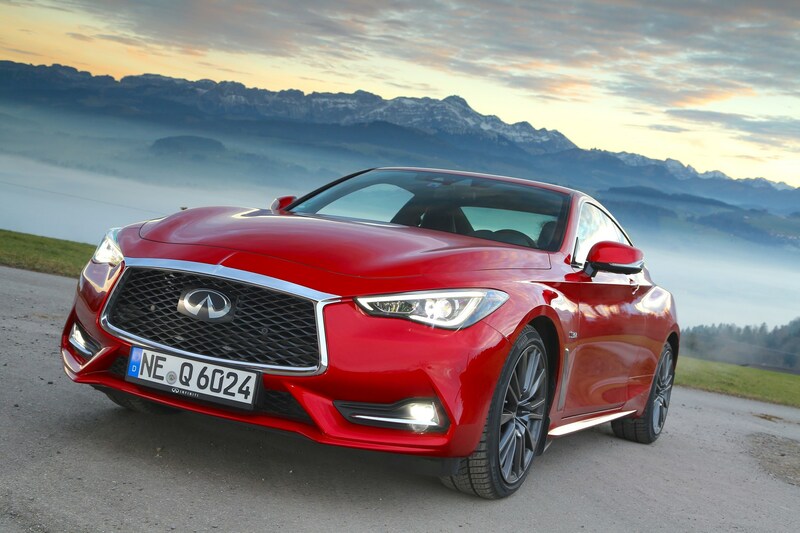 To find out more about this curious new coupe, read on for the full Infiniti Q60 review.